This is a pretty sheer nail polish to me. This is how it looks with two coats. Not bad. 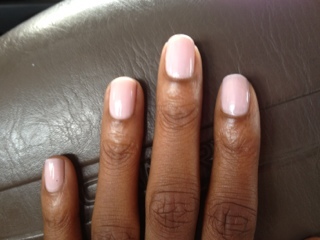 It may be my new go-to nudish nail polish!